Have you ever wondered if artificial grass is as safe as the real thing? As a leading supplier of faux turf, we at Watersavers Turf put our products to the test. Outside labs do our artificial grass testing by looking for traces of lead, fire hazards, UV fading and wear and tear. The result of this artificial grass testing let buyers shop with confidence. All our 40+ styles of faux grass are certified because of our extensive artificial grass testing. This is one reason why so many homes, schools, and others are switching to our fake turf. The other reasons are because it provides all the benefits of real grass but without the drawbacks. It looks great year after year and saves money on water and labor. We would never sell a product we would not want to use for our own job. That’s why our turf products are certified using the best labs in the world to test each one. TraceAnalysis and Labosport are some of the companies that ensure our turf products are certified. Lead has long been a concern in places where kids play. The fake grass industry has led the way to make its products safe for people and pets. The Consumer Product Safety Commission, after a seven-year study, said fake grass that is lead-free certified is “OK to install, OK to play on.” The study, unfortunately, did not test to see if the crumb rubber infill on the fake grass was lead-free and non-toxic. This is not a concern with our products. We do not stock nor do we promote the use of crumb rubber. Our products are safe for kids and pets because our fake grass is lead-free certified and non-toxic It can be used all around homes, schools, and other places. Don’t just take our word for it. TraceAnalysis Inc. in Lubbock, Texas, tests our products and makes sure our fake grass is lead-free certified. This leading lab has conducted more than $100 million worth of testing over the past 20 years. Results are available on request. Since fake grass looks like carpet fibers, some people think it can catch on fire. We are happy to say that this is not an issue because we do turf fire risk testing. Turf fire risk testing ensures that even if it is exposed to intense heat or open flame, it won’t catch fire. Again, we can make this claim with confidence because our products go through turf fire risk testing. We hire the best experts in the industry to test every product. Smoke Density Chamber Test: This test finds how thick the smoke is during a fire. The safety standard used is a rating of 450 or less. Every product we sell is well below this measure. Radiant Floor Panel Test: This test finds how much heat fake grass gives off when exposed to a flame or other fire source. Once again, our products easily meet the industry standards for safety. Repeated testing shows that our products do not catch on fire. Buyers can install our turf products in any public place with peace of mind. We would be happy to send a copy of our test results on request. Few things look better than a lush, green lawn. Making that happen requires hard work. Without intense labor, water and bug control, grass will turn brown. One big plus of our synthetic grass is UV resistance. Of course, we all have seen what sunlight can do to carpets. They fade over time. Does fake grass also fade? Not our products. Our synthetic grass has UV resistance built-in. Under normal use, it will keep looking as good as it did on the day it was installed. Since our synthetic grass is UV resistant, it stays green for as long as 20 to 25 years. The secret is adding UV resistance to the yarn. This makes it hold its color even through harsh weather or sunny conditions. We want customers to know that our artificial grass will stand the test of time. Every product is tested for UV resistance by Labosport. This is the world’s largest turf testing lab located in Le Mans, France. UV Resistance is included in the Labosport Fiber Performance Index and is the first certifiable measure of fiber quality. Using specially designed machinery, turf fibers are tested to ensure their strength against the most powerful UV light to which they are exposed. We can give you the test results if needed. Synthetic turf is meant to be used, whether for sports, pets or just walking on. Buyers want synthetic grass that not only will be safe but will last for a long time. This is why we make our synthetic turf meet FIFA standards. Our synthetic turf meets FIFA standards for both the U.S. and the world. Our certifications show that our synthetic turf always meets FIFA standards. Most our turf products meet FIFA standards. All our 60-plus turf options hold up against constant foot traffic, whether it’s from running in cleats in soccer or frequent tackles in football. Yarn Wear and Tear tested by Labosport. FIFA standard is 5200 cycles for Lisport test. The Lisport test is Labosports’ own invention, designed to simulate years of wear and tear in only a few days. The wear pattern created is hyper-realistic in capturing the activity of a sports field. A California EPA report said there is little human health risk from breathing the air above fake turf fields. Several tests in New York concluded there are no key health concerns from fake turf fields. In 2008, regulators approved the use of fake turf fields for people of all ages. 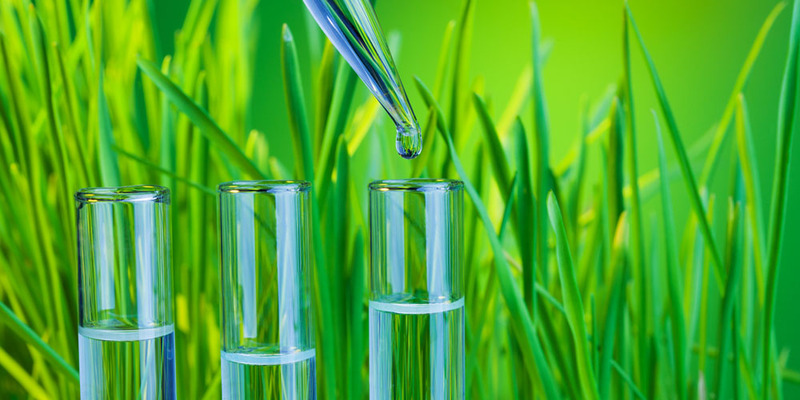 The bottom line is that every product we sell has been thoroughly tested so you can trust Watersavers Turf. So, whether your turf is used by a pro rugby team or merely a backyard game of soccer, you can trust Watersavers Turf and enjoy your turf for many years to come. Visit one of our store locations, head over to our Homeowners page to learn more, or call 844-974-8873 toll-free to ask about our free samples. Also, ask about our free delivery offers and free estimates, and for copies of test results.